Aconitum, also known as “the queen of poisons“, aconite, monkshood, wolf’s bane, leopard’s bane, women’s bane, devil’s helmet or blue rocket, is a genus of over 250 species of flowering plants belonging to the family Ranunculaceae. This plant has a long storied history. Going back to medieval times, it was used in medicinal gardens and even further back, Romans used it to poison wolves, thus one of the common names- wolf’s bane. Native Americans used the poison to arm their arrows when hunting game. 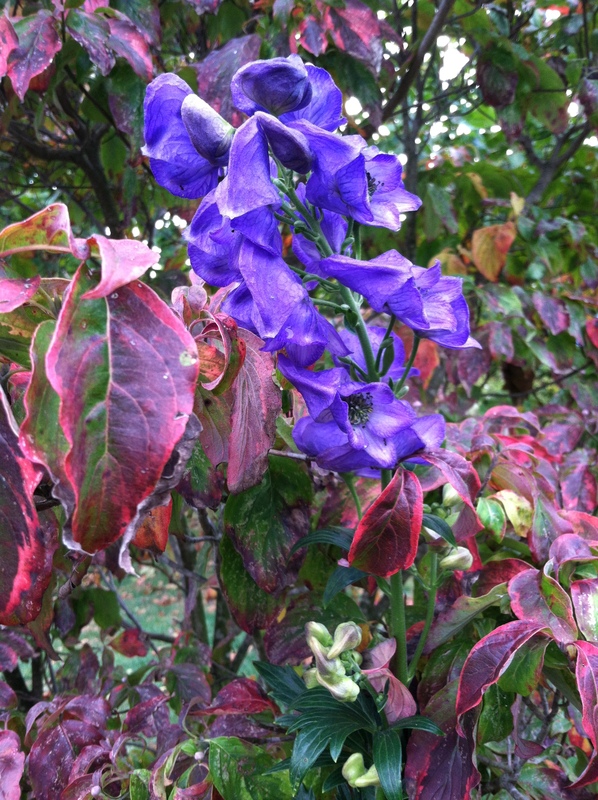 On the flip side, the plant has also graced English cottage gardens for centuries, becoming a stalwart fall performer. Because it is extremely poisonous, deer give it a wide berth, and I have never found any evidence of deer browsing. Here in Maryland, the plant starts to bloom in late September and continue until a killing frost much later in the fall. The stately spires of hooded blue blooms resemble delphiniums, but are much easier to grow and longer lasting. Hardy as far north as zone 3, this is a tough plant that is hard to kill. 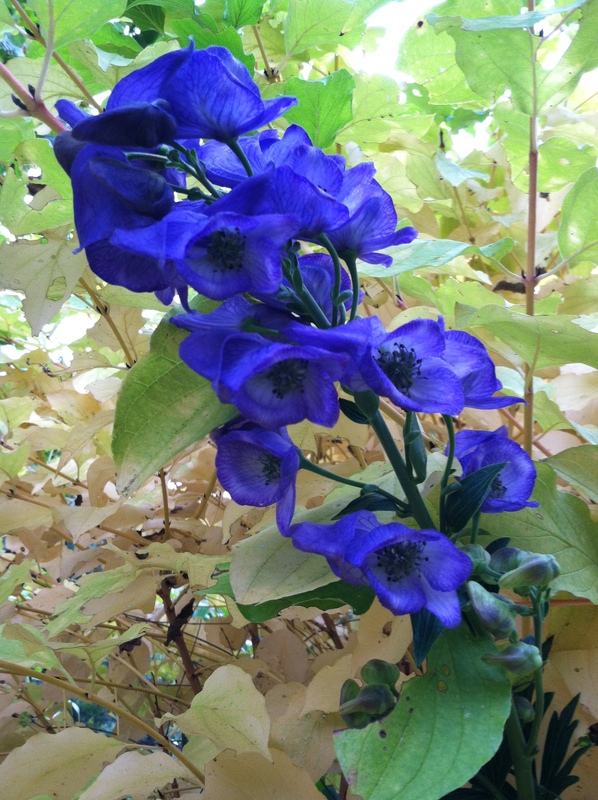 Monkshood flowers come in a veritable rainbow of blues; indigo blue, icy blue, lavender blue, and deepest purple-blue blooms in clusters at the top of stems. 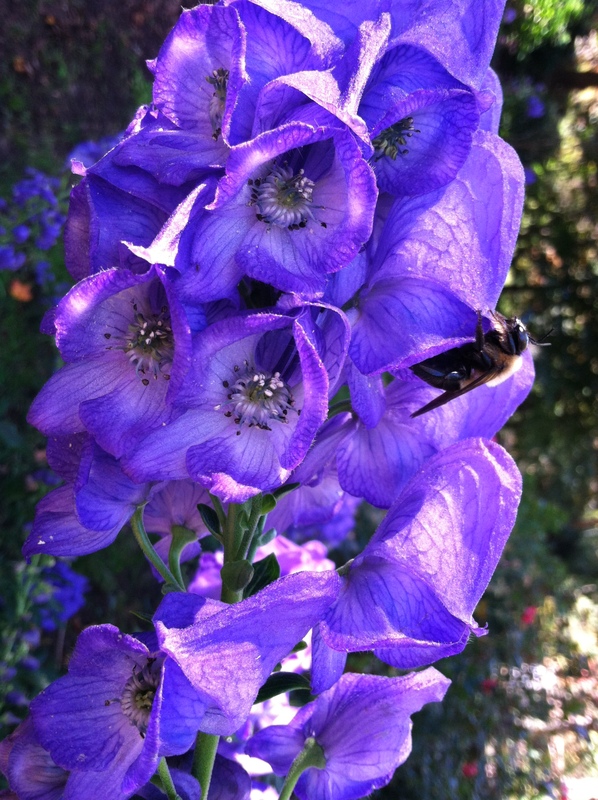 There are even some cultivars that come in white, pink, yellow, and bi-colors, but I much prefer the indigo blue, Aconitum carmichaelii ‘Arendisii’ that populates my garden. I dug up mine from an older garden, finding that the root is a fleshy tuber that reminded me of bearded iris. Planted just a couple of inches deep in the soil, the plant sends up a four foot high plant of leathery glossy leaves that can flop if they are not staked or supported by surrounding neighbors. The foliage is a handsome addition to your summertime perennial border. A prime spot for situating these vivid blue spikes is at the base of Japanese Maples, witch hazels, fothergillias, or any showy fall foliage, to provide a colorful contrasting backdrop. 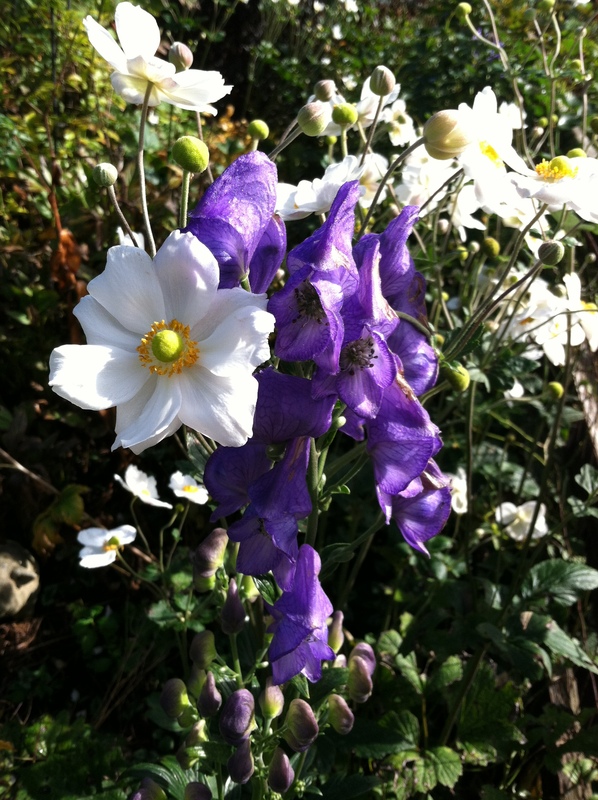 A word of caution is in order, for all parts of monkshood are considered poisonous. Be sure to wear gloves when handling the plant and keep it away from children and pets who might be prone to consuming plants. 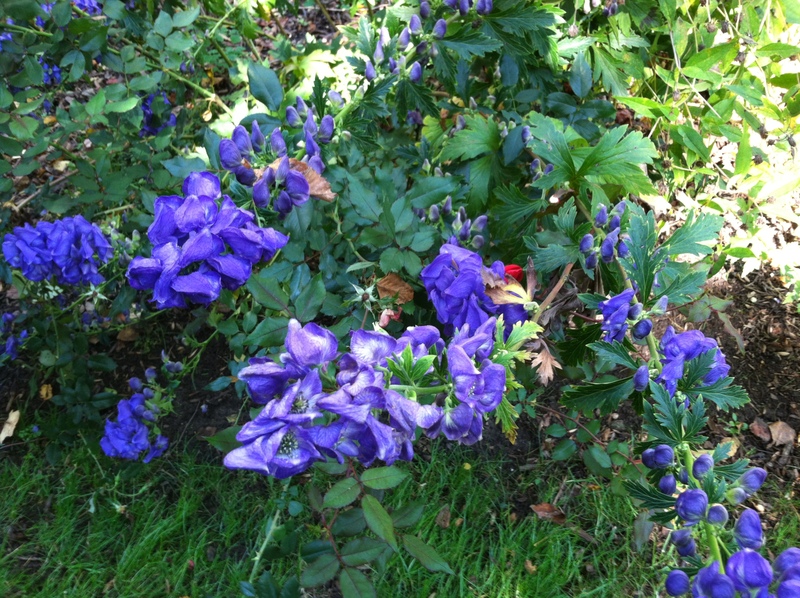 Many plants in our gardens are poisonous, such as Datura, Castor Bean, and Digitalis, so Monkshood is not unique in this regard. Treat all plants with caution unless you are sure something is benign. Place Monkshood at the edge of woods in dappled shade or part sun with medium moisture and they will reward you for years to come. 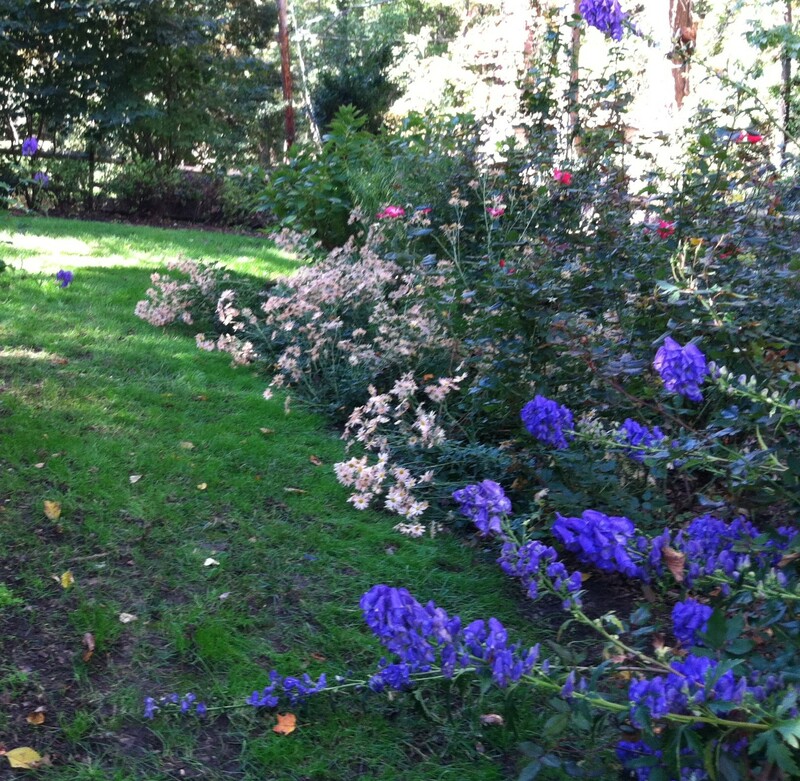 I want to plant a large swath of monkshood under an Oxydrendrum arboreum. There seem to be a number of different blue varieties. Which one do you like? I like the Arendsii, which is commonly available.